Cast your minds back to FivePoints 2018 when Josh Divine x StrangeCat Toys presented you all with the super limited resin edition of Astro Crash. 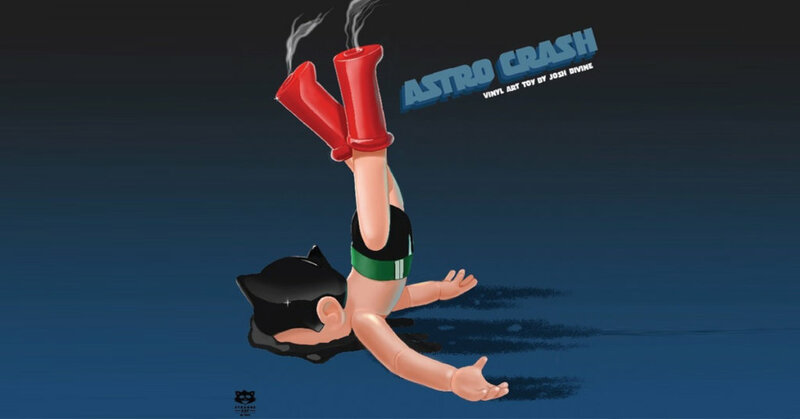 Rumours have been circulating about a vinyl edition ever since and yesterday was pretty much confirmation from Josh Divine when Josh uploaded the illustration of Astro Crash which included “Vinyl ” in the title. We’ve heard the prototype near complete and paint testing stages are underway. 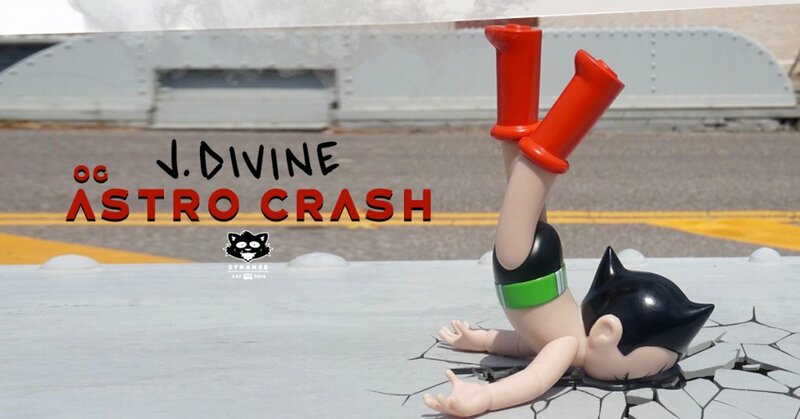 Stay tuned for further updates or you’ll be like Astro Boy, falling flat on your face if you aren’t, HA.